Thinking of investing in a premium monitor controller? Here's a selection of models to consider, with links to the SOS review where available. The Gain Train is a modular monitor-control system, comprising the Main Gain and the Function Junction. 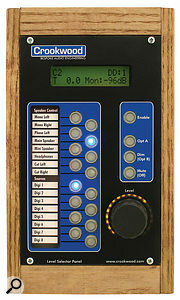 The former provides basic level-control and speaker-switching functionality, while the latter adds extra inputs, two headphone outputs, and talkback. 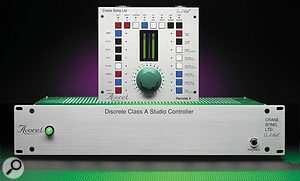 Although it lacks some features compared with some of the controllers here, the Headmaster still provides switching between two pairs of speakers, as well as a choice of two analogue and two digital inputs. In our review, we praised the exemplary quality of its built-in headphone amp, which mastering engineer Eric James described as "unbeatable”. Designed by highly respected engineer Dave Hill, the Avocet offers comprehensive monitor-control functionality, including speaker muting, phase flipping, talkback and high-resolution metering. It can also be upgraded to perform surround-sound monitor control duties. Grace's M905 is housed in a sleek control unit with a high-quality, colour display for comprehensive metering of the inputs and outputs, and even of the SPL at the listening position. As you'd expect from Grace, the analogue circuitry is of extremely high quality, and the A-D conversion is said to be of "mastering grade”. The accompanying 2U breakout box provides a wealth of digital and analogue inputs and outputs. Designed specifically for surround-sound systems, the ASP510 provides for three 5.1 surround and three stereo inputs. It also features cut and solo for each individual speaker (including a sub), and has an internal pink-noise generator for calibrating your monitoring system. The QS8 offers all the usual monitor-controller functionality — including speaker and source selection and a mono fold-down button — as well as artist cue-mix outputs and talkback. 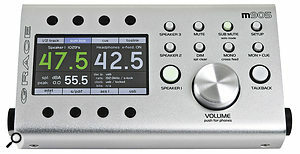 Its high input count means that it can also be put to use as a basic summing mixer. This model is slightly unusual among the monitor controllers here, in that it mainly deals with digital inputs. 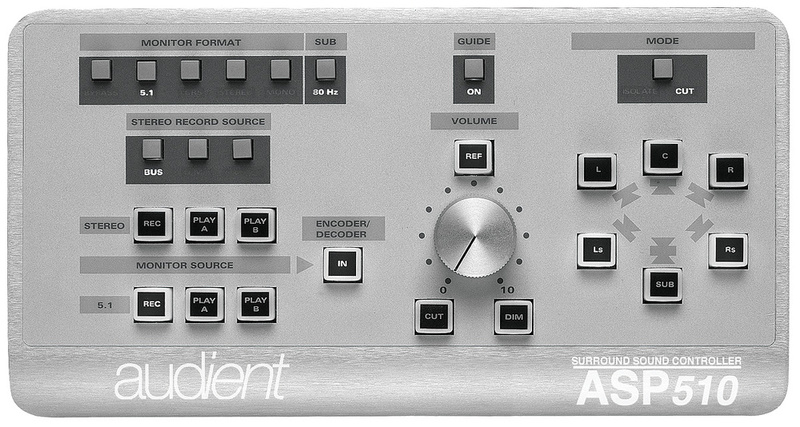 It has eight of these (in addition to its one stereo analogue input), and provides its own high-quality D-A conversion through which to monitor. 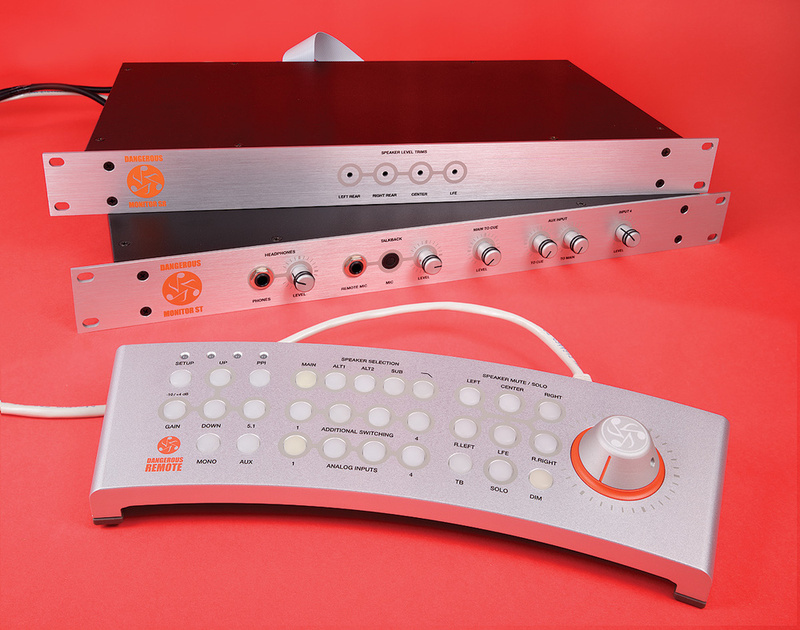 The Monitor ST comes in two parts: a desktop remote control and a rackmount I/O box. 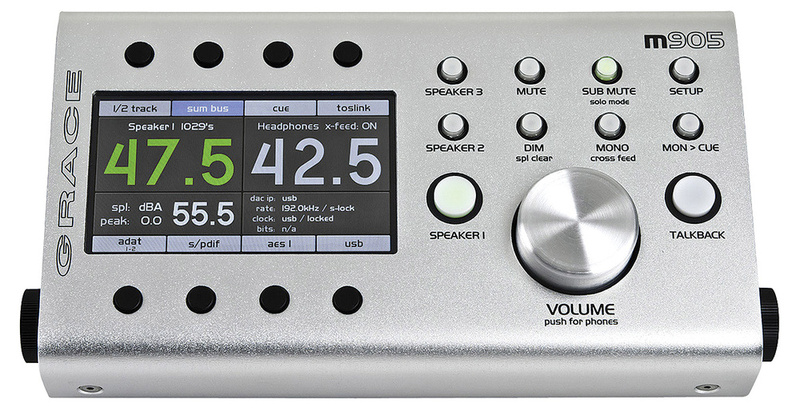 The remote provides dim, mute and mono switching, as well as a built-in talkback mic, while the breakout box allows you to connect up to four input sources and three monitor outputs. It can be upgraded to cater for surround systems using the SR box (the top rack pictured). 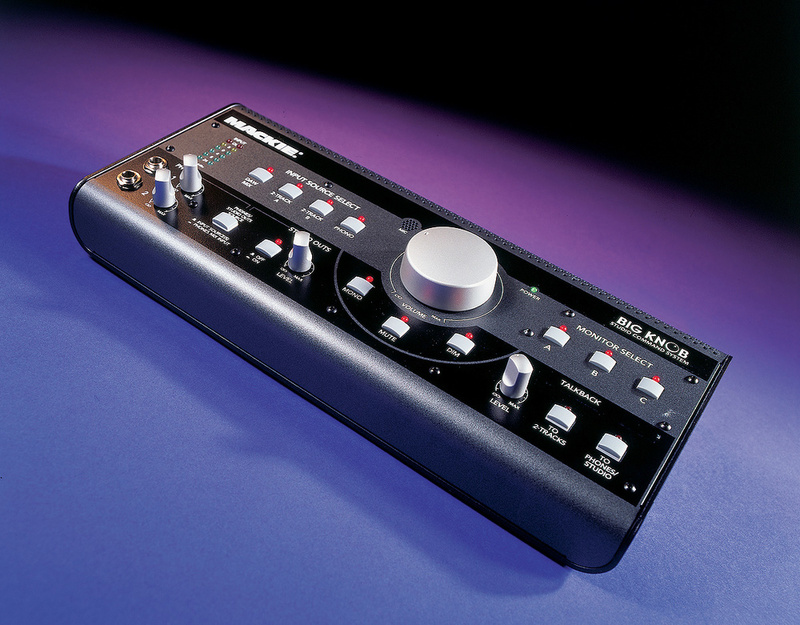 More than just a volume knob: mono switches are invaluable if you expect your work to be broadcast, while mute and dim switches are convenient and let you keep your monitoring level consistent. Compared with established tools such as mixing consoles and microphones, stand-alone monitor controllers are a fairly recent development in the studio world. Traditionally, monitor-control tasks would be performed by a mixing desk, but in response to the proliferation of computers (and the consequent decline in the number of mixing desks in studios), the industry has presented us with various devices to perform the tasks that mixers once did, such as microphone preamps, summing mixers and, of course, monitor controllers. Another reason for the increased presence of monitor controllers in studios is the rise of the active monitor. 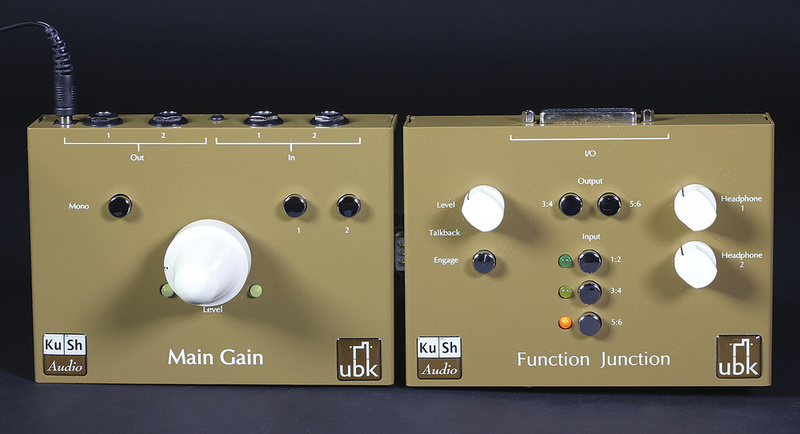 At its most basic, a monitor controller is just a volume knob, and most studio amps already have these on the front panel. With active monitors, however, the volume controls (if they're present at all) are often on the back of the speakers, which is not only inconvenient, but means that if your studio develops a noisy fault, you may not be able to turn the speakers down before they get damaged! However, most of the monitor controllers mentioned on the previous pages offer much more than just level control. One common feature is a mono button, which sums the left and right channels of your mix so that both speakers are outputting the same signal. This is especially useful for checking mono compatibility if you anticipate your music being broadcast, as many TVs and radios only reproduce sound monophonically. 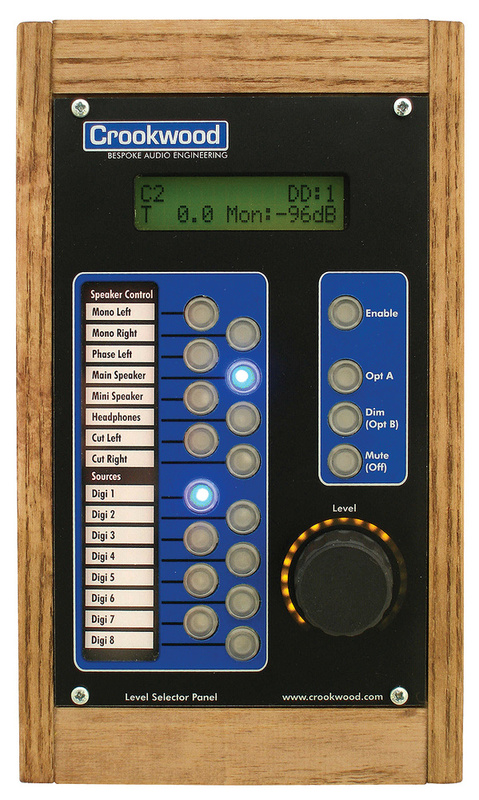 More advanced controllers also allow you to mute individual speakers, which can help you track down problems with your monitoring system, or, when used in conjunction with a mono switch, let you hear your mix using only one speaker. This is a technique that many mix engineers swear by, because it lets you concentrate on achieving a good frequency balance rather than relying on separating instruments just by panning them — which might sound OK in stereo but could leave you with a mix that translates poorly to mono. Some monitor-control features might seem a little banal, but are actually very important in practice. Mute and dim switches (the latter usually attenuating the input by a fixed amount of about 20dB or so) allow you to answer the phone or have a conversation in the control room without constantly adjusting the level control. This is significant because the human hearing system's frequency response changes at different volumes; it's important to keep your monitoring level consistent so you can be confident in your mix decisions. If you're still not convinced that a good-quality monitor controller represents a significant studio upgrade, consider this: a high-quality headphone amplifier might well set you back a few hundred pounds dollars, but most of the products shown on the previous pages already include one — often of a very high quality. Similarly, many premium monitor controllers offer digital-to-analogue audio conversion that rivals some of the best stand-alone devices available. A few even include some less obvious secondary functions such as analogue summing, so if this is an avenue you're keen to explore, why not kill two birds with one stone?